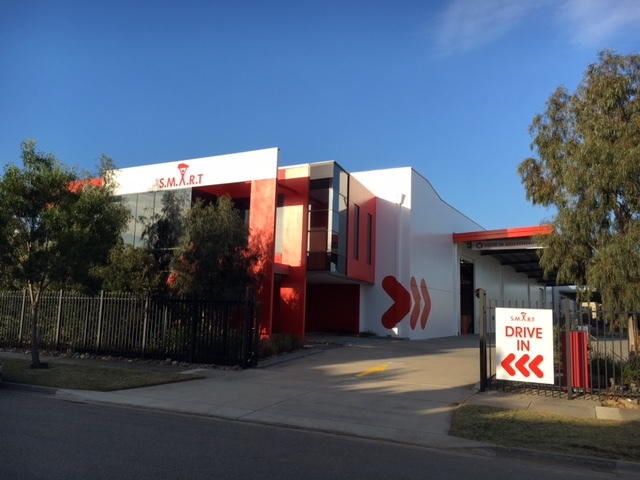 Finding us We are located just off Eastlink and the Mornington Peninsula Freeway, close to the Rutherford Road exit. To find us, exit at Rutherford road, continue on to Lathams Rd, take the first exit onto Frankston Gardens Drive, then left onto Lakewood Blvd. We are the big red and white building on your right hand side after you have gone round the corner. When you arrive When dropping off your vehicle please follow the signs into an Assessment Bay, and park your car. Please make your way in to reception where a Customer Care Advisor will greet you.